Every time I bake, my husband asks for two things; pumpkin muffins, and peanut butter brownies. I rarely make either- that way when I do, it’s particularly special. And let me tell you, these are special. 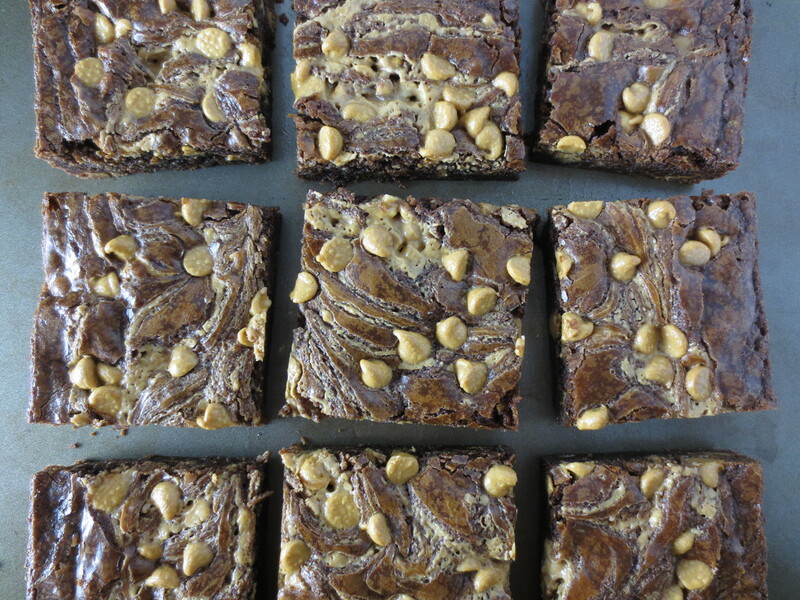 In fact, these may just be the best brownies I’ve ever made. 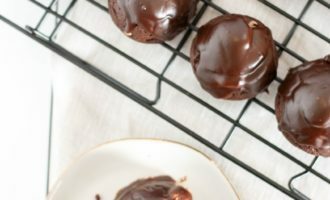 You should make them too- let’s all bask in the glory that is peanut butter and chocolate. It all started because I forgot that there’s such a thing as a peanut butter chips in the baking aisle. 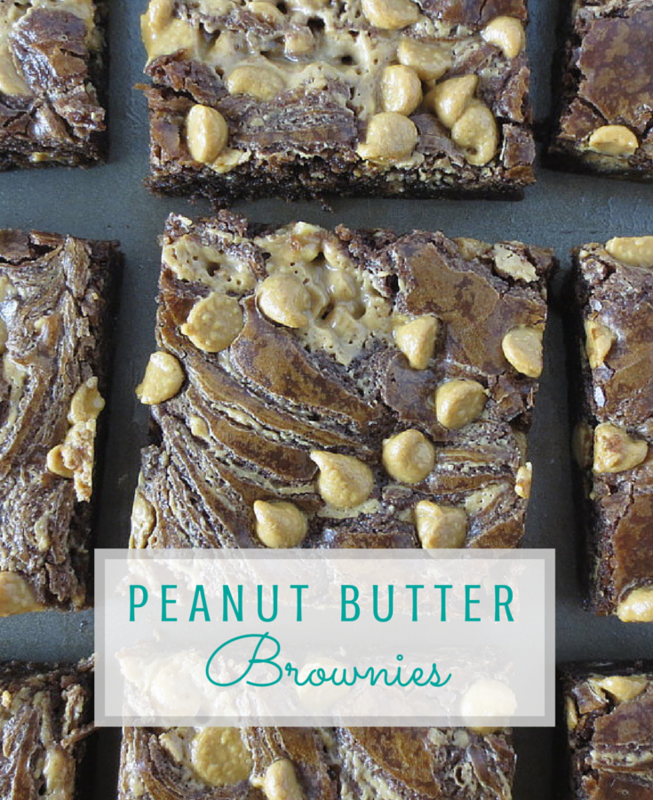 They caught my eye the other day, and there’s a good chance that I ate every single one that didn’t go into these brownies- they’re so good! In my opinion, considerably better to munch on than just regular old chocolate chips. I’ve always struggled with making brownies from scratch. 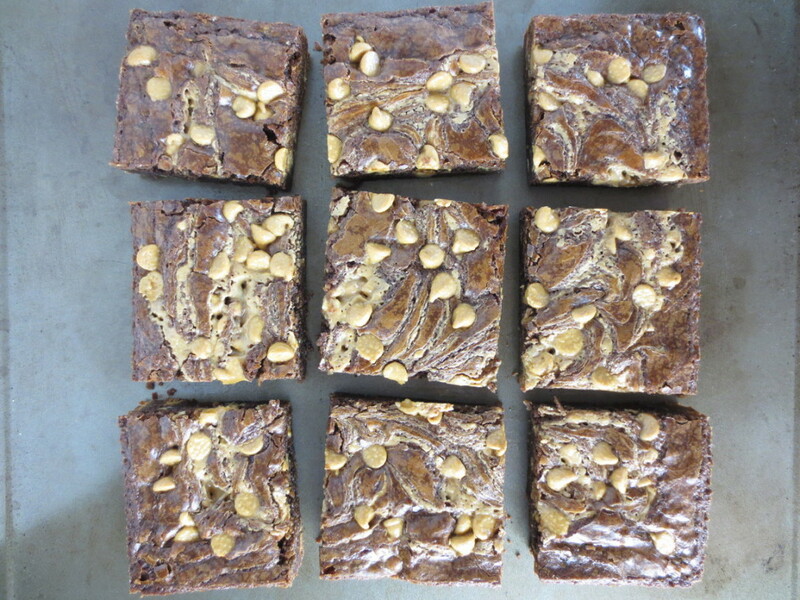 I have a couple of good recipes, but I never loved any of them as much as a boxed-mix brownie, and I don’t think there’s any other baked good that I’ve felt that way about. 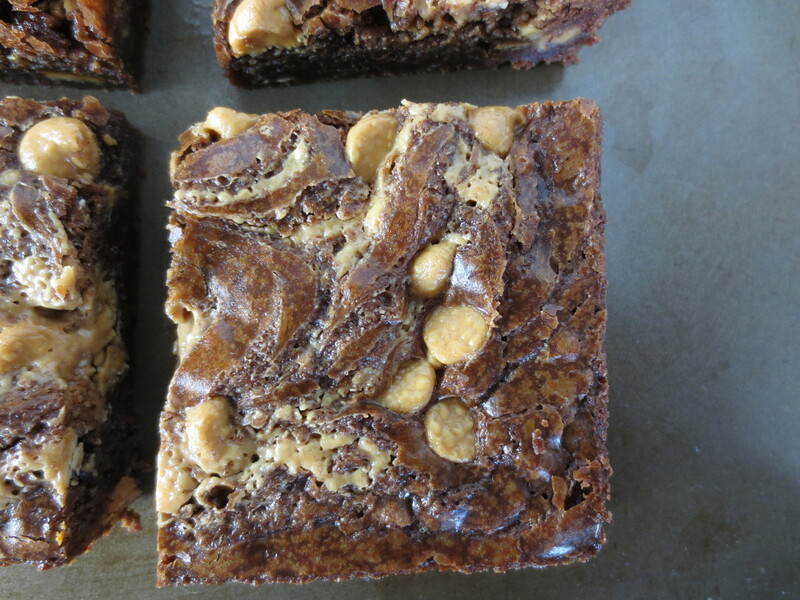 This recipe, though, has finally broken through the boxed-mix brownies. 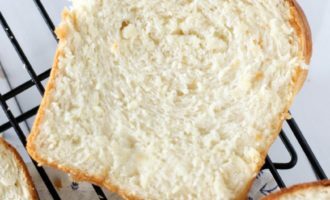 It’s really pretty awesome, and it’s just about as easy as a recipe comes. Maybe that was the problem- I may have been over complicating it before. 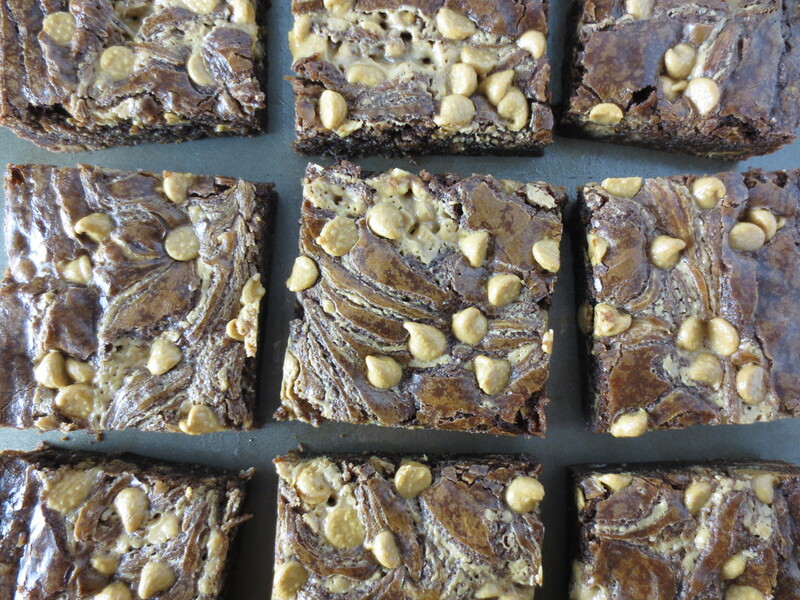 So if you take what is already a very awesome brownie recipe, and add in peanut butter AND peanut butter chips, what do you get? Happiness basically. 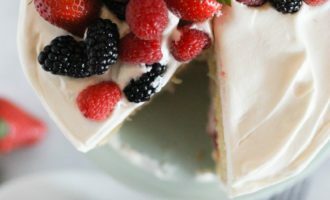 The batter is made entirely in a pan, and there’s very few dishes involved which is always a plus. 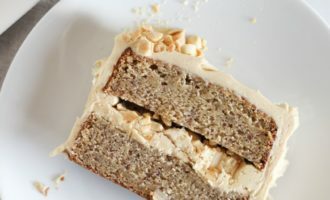 I used crunchy peanut butter for this recipe to give it some added texture, but you can use smooth and it’ll still be pretty fantastic. You can even add in more peanuts if you love them. For me though, the crunchy peanut butter was the perfect addition. Enjoy this one guys- it’s really, REALLY awesome! 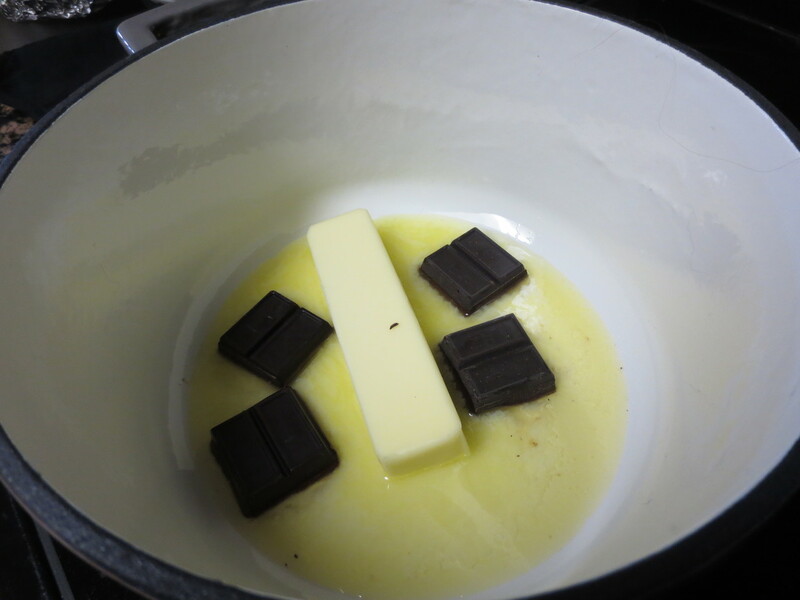 In a medium pot over low heat, melt the butter and chocolate together. Cool for 10 minutes. 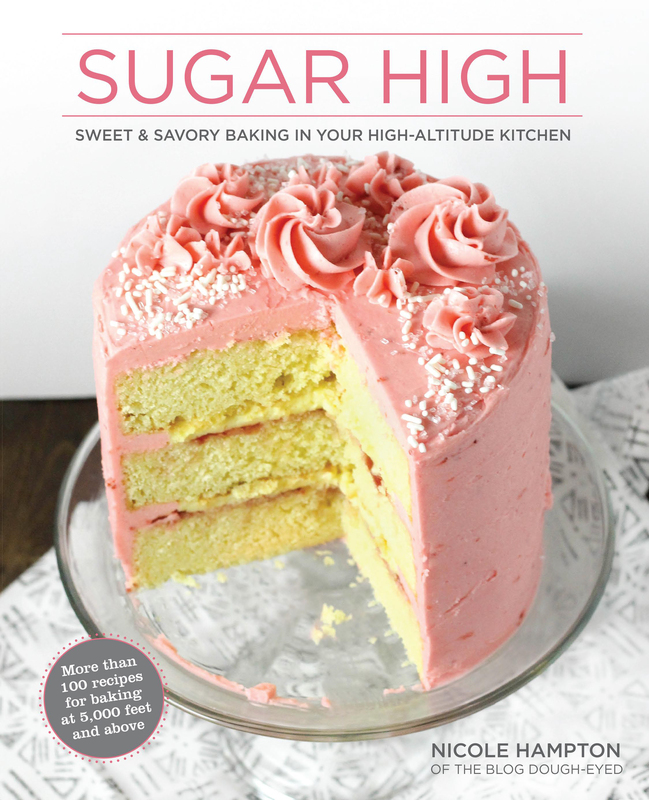 Stir in the sugar, eggs, and vanilla. 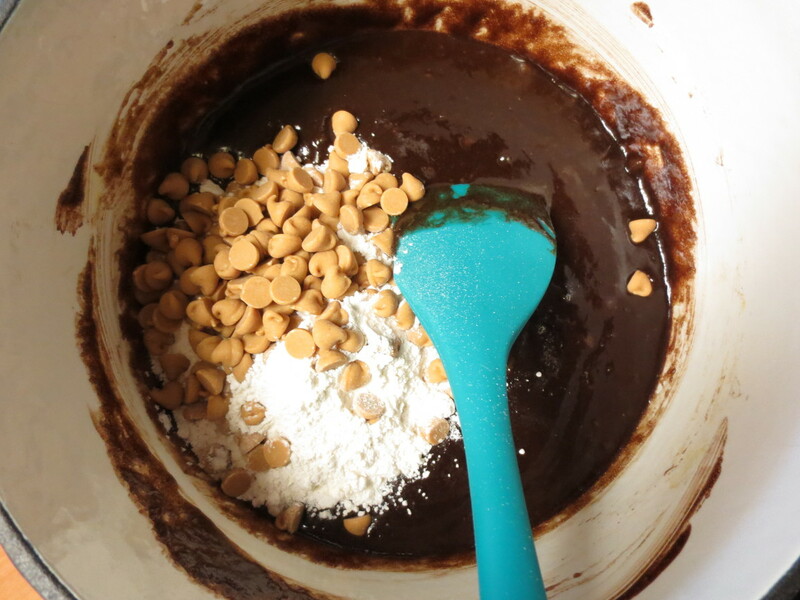 Then add the 1/2 cup peanut butter chips. Stir in the flour and salt. Pour into an 8x8 greased pan. In a small bowl, microwave the peanut butter for 20 seconds, or until it's thin and smooth. 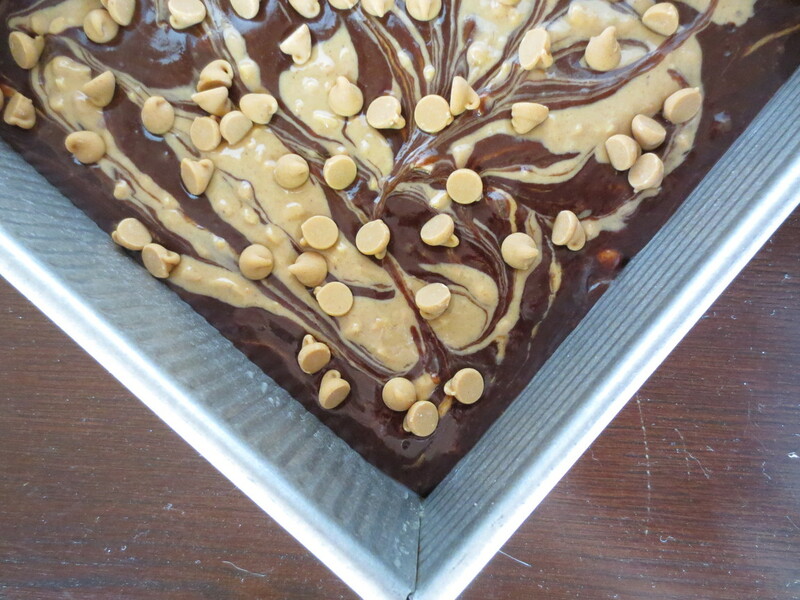 Drop the peanut butter in teaspoon-fulls on top of the brownie batter, and swirl it in. Sprinkle the remaining chips over the top. Bake for 35 minutes, or until set. Hi! 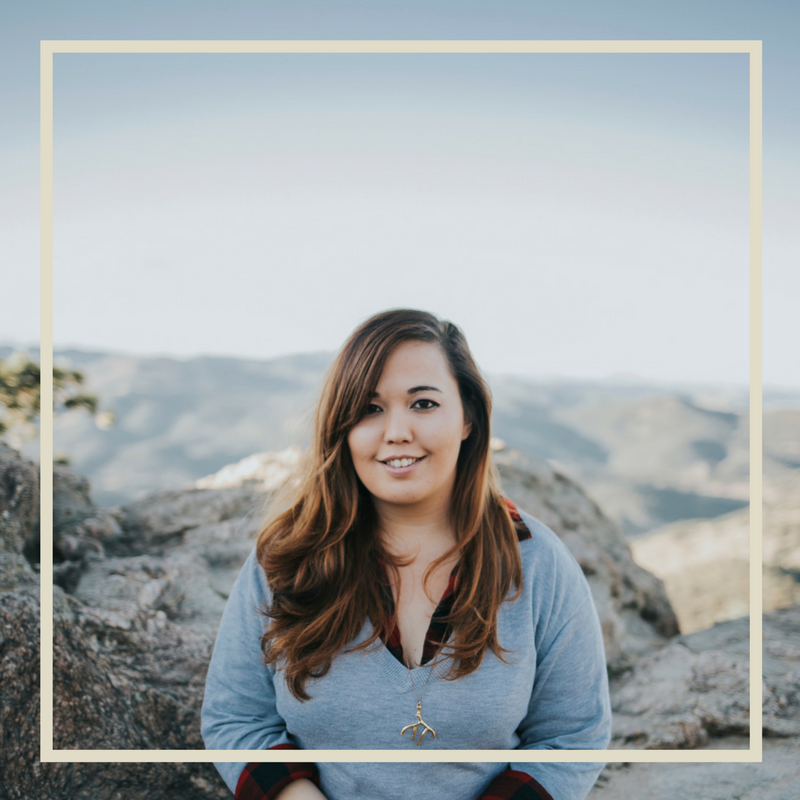 I just found your blog but no email subscribe button. When you have some time will you please put one in. Thanks! Hi Jan! I did get a subscribe option up finally- thank you so much for your interest!